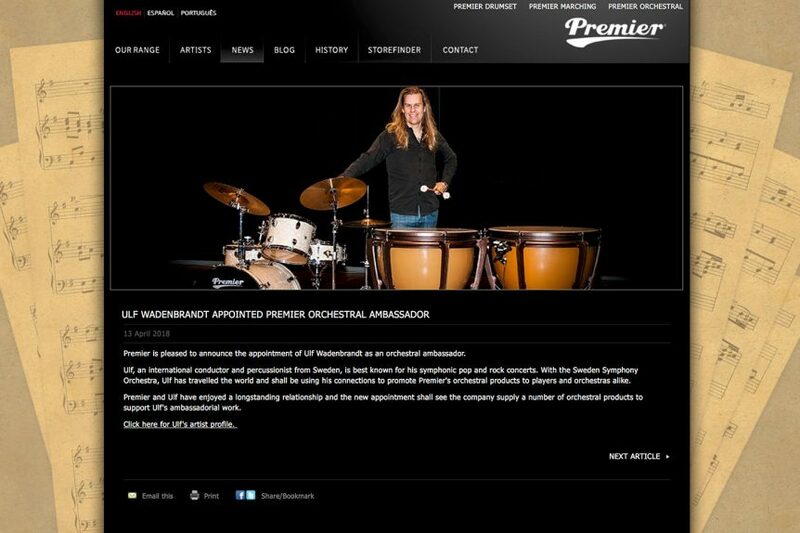 Ulf Wadenbrandt became an official Ambassador of legendary English percussion brand Premier! The new chapter of longtime collaboration is opening now! “When I started to play, when I was a kid, it was on my father’s Premier drums, and I really loved that kit! Since then, I always have used the Premier equipment. I’m a proud member of the Premier family!” – said Ulf.